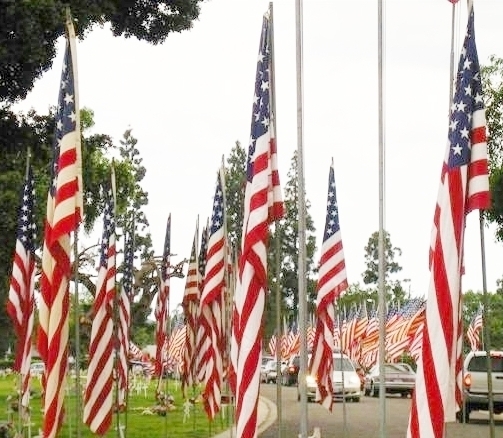 It was another Memorial Day in Brea remembering those who serve. 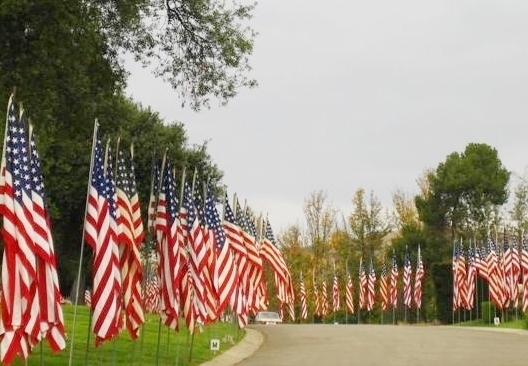 Every year on Memorial Day, Memory Gardens in our City of Brea is bold in the beauty with red white and blue. Large American Flag fly all around the cemetery, up and down each street and drive. The flags have been dedicated over the years in the memory of a local Veteran. This year the American Legion Post 72 and local Boy Scouts participated in the event. The day before the holiday small white crosses were also added to each Veteran’s grave. Each and every year Old Glory is on display just like this. I just came from a short trip to my office and stopped on the way back to take a couple of photos. Last year I had family member at the house for a bar-b-que, on the way they passed the cemetery and asked me about it. We decided to take a walk to see it for ourselves. It’s always a wonder sight and I loved sharing it with extened family. A few years ago while attending the Memorial Service and was pleasantly surprised to see friends and clients present that day. they were dedicating a flag in the name of their Dad. It was another moving experience for all. I’ve been to those ceremonies many times it’s beome an ongoing tradition in our community year after year. It’s such a beautiful sight, it’s something you never tire of. Thank you to all who’ve served and thank you to those Veterans and local Boy Scouts for your ongoing support of this event. I’m a proud American, the daughter of a WWII Veteran. I’ve visited the Memorials in Washington D.C. and was honored to be there. My thanks and gratitude goes out to all the good men and women in the service of our country and to those families who are left behind.